NEW YORK -- The comeback in subprime financing and its role in fueling used-car sales are much more important to dealerships' bottom lines than prime-risk financing, chiefs of two big dealership groups say. "It's all about margin," said Craig Monaghan, CEO of Asbury Automotive Group. "I would tell you that on a dollar basis, we make almost, or very close to, as much money selling a used car as we do a new car. A used car obviously is at a much lower price point." 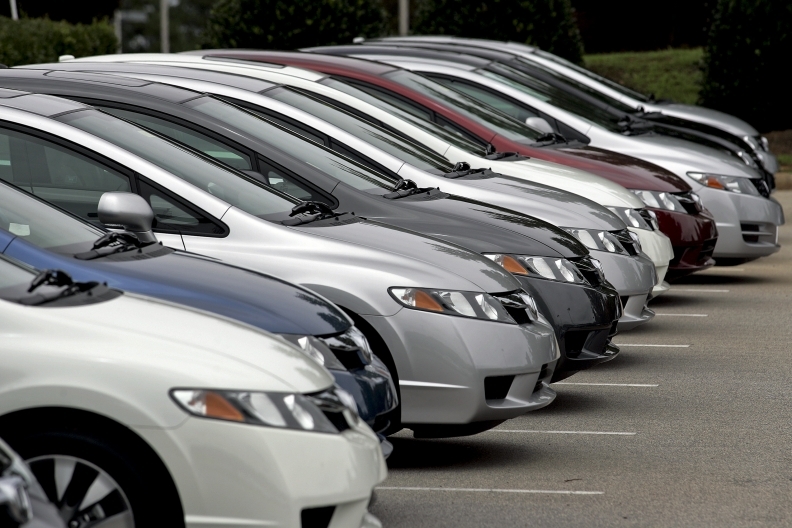 According to Experian Automotive, 57 percent of used-car loans were subprime in the first quarter of 2012. That includes 22 percent of used-car loans in the riskiest "deep subprime" category, with credit scores below 550. Subprime also accounted for 23 percent of new-car loans, but that included only 2 percent of new-car loans in deep subprime. Bryan DeBoer, the new CEO of Lithia Motors Inc., said his group is getting around 25 percent of its used-car volume from higher-mileage used cars, a segment Lithia wasn't interested in a few years ago. "Now on the subprime side there's even more growth opportunity. This is an area that's fairly locked up. … But it's starting to loosen," he said. DeBoer and Monaghan spoke at a Stephens Inc. investment conference in New York on Tuesday. DeBoer complained that loan-to-value ratios on prime-risk financing are low. The LTV, usually expressed as a percentage, compares the value of the financing to the value of the car. An LTV greater than 100 percent, sometimes called an over-advance, is a major selling point because that makes it easier to finance negative equity on a trade-in. An over-advance also simplifies the addition of F&I products such as extended-service contracts to the same finance contract as the vehicle. "There's still some weakness in prime markets. … It's not that they don't buy; it's more that they're more locked into lower loan-to-value ratios. They won't do as big of over-advances and the terms are not quite as lucrative as they were through the 1990s and 2000s," said DeBoer, who last month succeeded his father and Lithia founder Sid DeBoer as chief executive. Monaghan noted that auto lenders are starting to approve more subprime loans, taking into account that consumers put their car payment ahead of other bills, even the mortgage. "I was in a store the other day talking to one of our F&I managers, and they had just arranged financing for someone who had lost their home and filed bankruptcy. And they could put 'em in a car," Monaghan said. "It's a relatively generous interest rate, but the perspective from the lender is that this individual has a job. They can't afford to lose the job. They need a car to get to work." He added: "Subprime's not back. But there is subprime out there." In the Automotive News 2012 list of the Top 125 Dealership Groups, Asbury ranked No. 7 and Lithia was No. 9. The rankings are based on volume of new-vehicle sales last year.